That's a valid argument. How's this suggestion; Do the same thing with caped figures like they did with Gamora from the EE boxset; she got 2 capes. 1 hard and the other was soft goods. I don't think it's needed for every caped, cloaked or coated character, but for the Dr Dooms and Magnetos of the world where it makes sense to pose them sitting, this could be a thing. Just like my new best friend Monron is "Team Strong Guy" for life (I'm on that team as well by the way), I'm always and forever "Team Sauron", but you all already know this. I have more, but this list is crazy as it is! Now that I could get behind. An alternate idea might be using the softer plastic Mattel has been using for most of their Multiverse capes. It wouldn't be perfect, but it could an acceptable compromise. That's a solid list by the way. A bunch, I wish I'd thought of. Speaking of easy "kits," I'm still holding out hope for an Abigail Brand. Depending on how you wanna take the figure there are any number of female body tools available. All you'd really need is a new head. Throw in a pair of clip-on flame effects, the big ole' space gun Coulson came with and you have the perfect "filler figure" for virtually any wave. Lol, what Ruk, no Reavers? Skullbuster, Pretty Boy, Macon, Cole & Reese along with a badass Bonebreaker BAF. I've never heard of anyone other than myself requesting the Mauraders. Good pull. I know it's a huge longshot but either one of em would make a helluva box set, wouldn't it? 1. Longshot - speaking of longshots. The last one's pretty dated. Time for an update. 2. Maverick - where u at, bro? There were some rumblings last year. He's been MIA ever since. 3. Kane/Weapon Zero - see comments regarding Maverick. 4. Blink - hasn't happened yet & not sure why. Such a simple repaint. 5. Marrow - awesome character who's bound to resurface some time during Marvel's Rebir....err, Legacy. A few alternate head sculpts would be cool. 6. Molly Hayes (not Molly Hernandez) - bout the only Runaway that's remotely interesting at this point. 7. Viv Vision - one of the few Champions that hasn't been done yet, tho I'm sure it's just a matter of time cuz, similar to America Chavez, she hits too many racial/social/political checkmarks to ignore for much longer. 8. 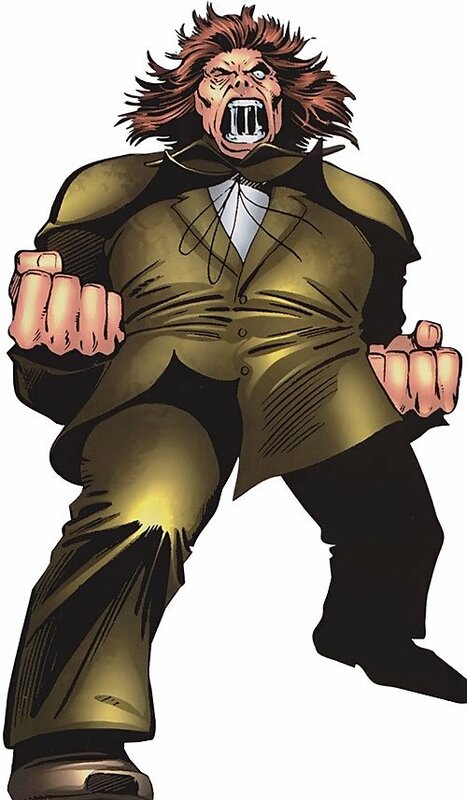 Doc Samson - The last one was bad....like super bad. Not in the good way, either. 9. Nova or Firelord - need some Heralds representation, once Silver Surfer gets done (eventually!). 10. Mordo - needless to say, the MCU version was about as lame a figure that there is, we just need the comics version now. 11. A-Bomb - we got him in MU form, why not ML. Some adjustments to the Abomination is all it would take. 12. Echo - need some more cool figures from the Daredevil-verse and she would be really easy to do. As usual, just scratching the surface & I'm sure I'll be back with another bunch picks. I can't believe I didn't think of this one before. I was reading some of my old New Warriors comics when it hit me. We've gotten something like 3 Novas (not counting Sam Alexander), a Darkhawk, I don't know how many Scarlet Spiders, but we have never in ANY line gotten a Namorita figure! This girl HAS to be done! Id quite like some more asgardians maybe Baldur, Karnilla and Cul Borson. We still need an updated warriors 3 and Id love a Surtur BAF. 1.Firestar - come on now, this is too long overdue. 2. Red Skull - How hard is it to put the Red Skull head on the GR/Star-Lord/AIM buck? And they can do like the Spider-Noir and add the jacket for both looks. 4. Storm - Uncanny X-Men costume - the 1 piece with the thigh boots. I'm going to go vanilla here and say that I would really like to see an updated Toad. That Toybiz one is a joke, and I want to be one character closer to finishing up my Brotherhood. Although, I would sell my best friend's oldest child in exchange for a hover chair Xavier, a Jim Lee era Magneto with a mullet, Sauron, or hell, Commando. My main want is a Jim Lee Storm from the Blue/Gold team days. And then I want the remainder of the team as well (Gambit, Beast, etc.). I’d also love to see 90’s X-Factor, X-Force and Generation X teams. 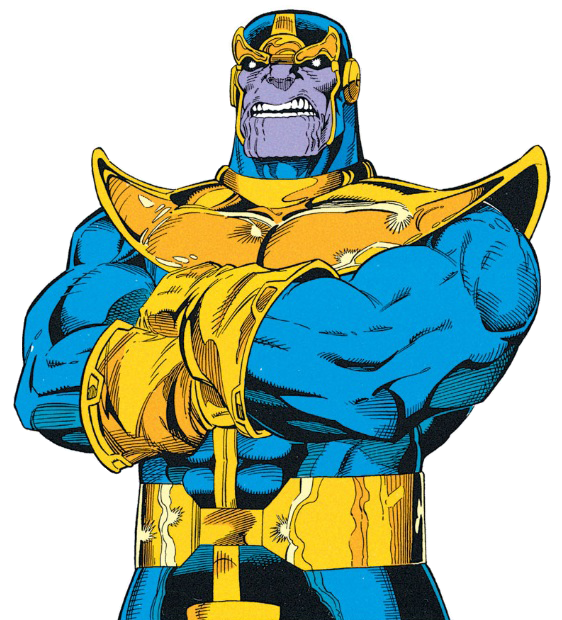 As well as any villains from that era. I’d also love to see the Young Avengers and Runaways get done in figure form. I know Nico and Hawkeye have figures but I’d like the rest of the teams. I think BAF Old Lace and BAF Stature series would be fun. Aside from that, I’d like to see alternate versions of the X-Men (AOA era characters, Mutant X, X-Men 2099, etc). M-11 (BAF?) or Rom ? My list is all pretty obscure at this point. 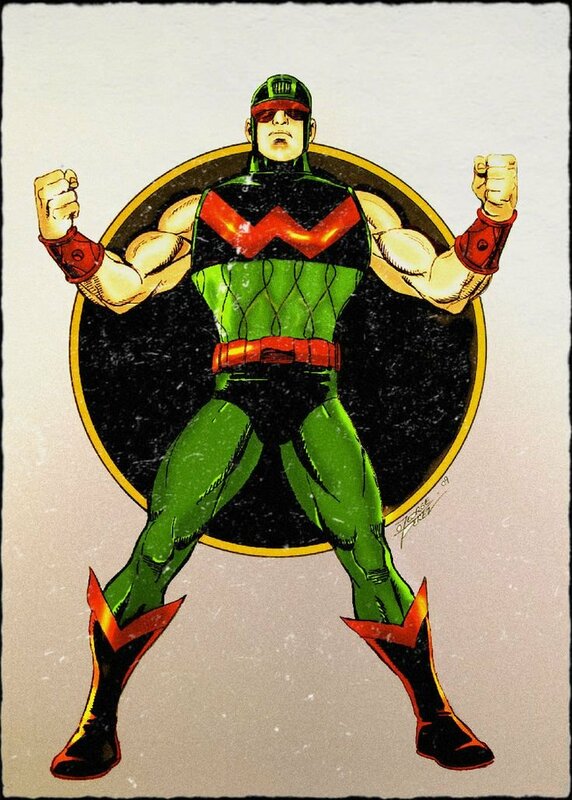 How about Spitfire from the Invaders though? 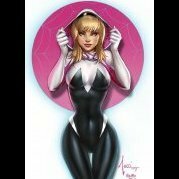 As for most wanted comic figs? 2. Beast. Also 90's styled. But I could deal with Modern Beast. 4. A cop. Generic cop. 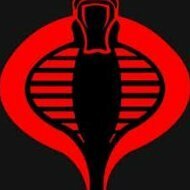 We have SHIELD, AIM and HYDRA army builders, but not military or police. Hasbro could even market it as a 2 pack of Captain Stacy and Jean De Wolfe, with extra generic heads, so they can just be basic, random cops. I think we're getting a 90's Gambit this go round. 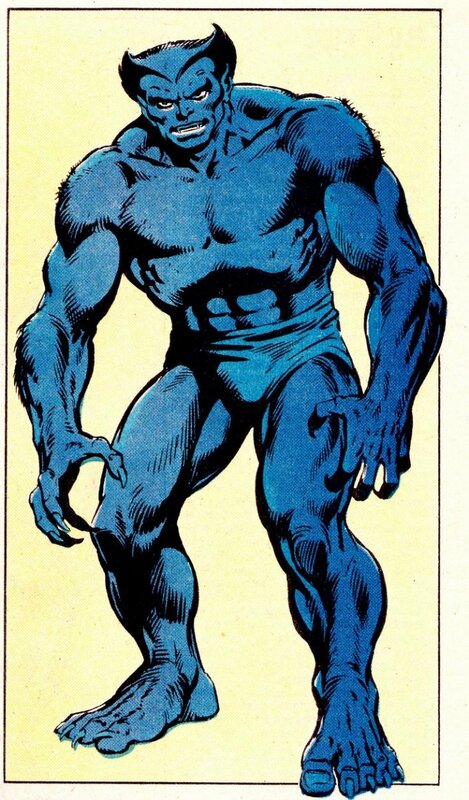 We need a modern Beast and we want a Hasbro take on the Jim Lee Beast (If this comes to pass PLEASE Hasbro, you MUST outclass the Toybiz release or you will catch wreck)! I need to break out my Toybiz Nightcrawler and see if it still measures up like the Beast does. I think he's gone back to that costume. Your cop suggestion is fantastic! To piggyback, it would also be great to get uniformed police as well (We get Hydra & A.I.M soldiers as well as S.H.I.E.L.D. agents. Why not cops?) I can imagine dioramas of super villains rampaging through cops. I can guarantee this would be an army building frenzy in the making! Okay, I'm gonna approach this from an angle of another post where I basically theorized that the Avengers will eventually become the comic based waves once this phase of the MCU ends and the X-Men & F4 franchises take center stage. I'm probably breaking protocol, but I'm listing them as entire waves as I've been thinking about these for a long time and arranged them in a way where they wouldn't require more than 2 new sculpts per wave, plus the BAF, which is almost always the formula for every wave that isn't a movie wave, which almost always requires all new sculpts. They are very simplistic waves that could be done very easily at minimal cost. I've often wondered why they haven't tried to do at least one wave like this during non-movie years. Seems like such a waste cuz it works pretty damn well with the Spider-Man waves. This way can fill a lot of holes by making at least 1 Avengers, 1 Captain America & 1 Iron Man wave per year. Here's my suggestions for the first waves. 1. Captain America (current, restored) - Need a new one, the last modern Cap just doesn't hold up to the new crop of figs. 2. Iron Man - Jus cuz they expect to see him. Maybe a new Extremis, cuz as you know, the old one is now a chick. 3. 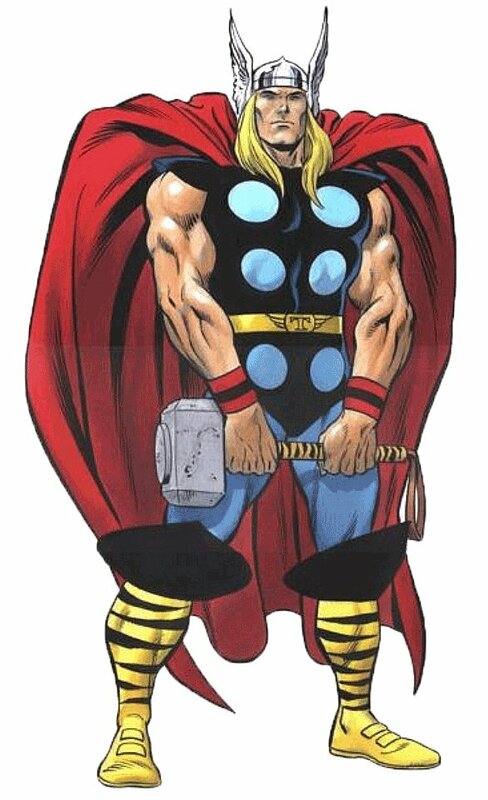 Thor - We need a modern restored version with ANKLE PIVOT at a reasonable size like the Odinson buck. 4. 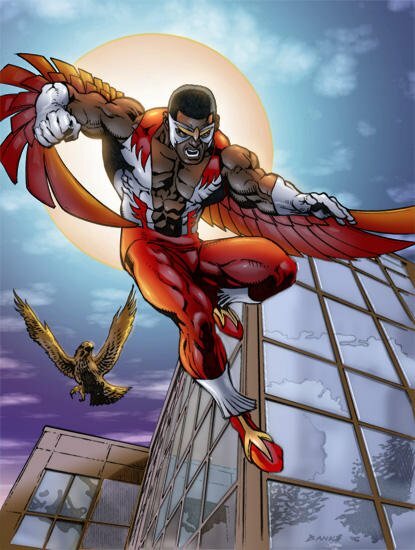 Falcon - This has been one of the most overlooked figures in modern ML. Ya, we got the Captain version but he's back to himself & for God sake, give him wings. 5. Hercules - Similar to Falcon, long overdue. I know Hasbro can knock this one outta the park. The 4" figure was one of the best in the line. 6. Tigra - This is one of the most anticipated figures badly in need of a redo since that last terrible attempt. Don't tone it down too much either. Angela was pretty well received in that sense. 7. Quicksilver - Redo of the old one or a modern look. It's just so ridiculous, this mutant vs Avenger thing. He's an Avenger. They can't keep bringing up the talk about doing an Avengers Beast & then say "No we can't do Firestart or Quicksilver cuz they're mutants." BAF - Hulk, just freakin' Hulk. Not the McGuiness version, no Doc Green on a BS MCU buck. Just a be all/end all, perfect, all arguments off, definitive Hulk on the Ragnarok Hulk buck. Even include an Amadaeus Cho head swap if you wanna round out that Champions roster, tho technically I think they're 2 different shades of green, but who cares. 1. 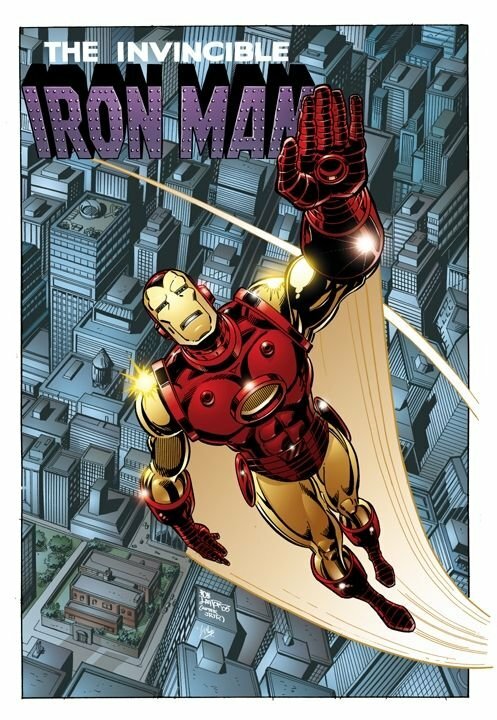 Iron Man - Any Iron Man, just cuz he has to be there. 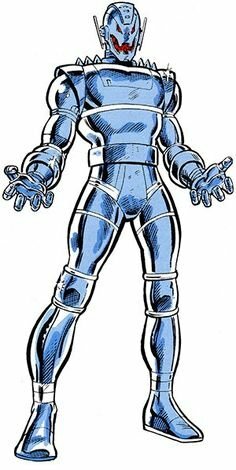 Silver Centurion or Superior armors haven't been done by Hasbro yet. Let's start there. 2. Crimson Dynamo - Yes, I know they already did one & made a pretty good effort but that figure was quite flimsy or rubbery (weird) & it just doesn't scale with the current figures. 3. Maria Hill - Give her the Nick Fury treatment & include a Slingshot head swap with some attachable forearm cybernetics & a standard issue SHIELD helmeted female head and we get triple value & multiple sales. It's almost a no-brainer. 4. Living Laser - This is such an easy figure to make out of existing bucks. The 4" line showed us how good you can make reused molds look. 5. Mandarin - Just do this already. Every one done to this point has been a massive deuce. There's not much to compare to. BAF: Titanium Man - Again, I know he's been done and similar to Dynamo, he was done well for the time, but it's a better time for ML now and we need a new one and an awesome version of the big menacing one would be great. Maybe even do a Gremlin mini figure behind the chest plate. 1. Hydra Cap - I know it was short lived but it beats the hell outta that lame concept art Secret Mission Cap they did before. 2. USAgent - Yes, another that's been done before but it was on the wrong buck & we all know it. Update it on the Reaper buck or even the Hyperion or Odinson buck. 3. Sharon Carter (white uniform) - Just as with Maria Hill, include a Quake head swap with arm bracers & a SHIELD helmeted head. This is pure gold guys. 4. Diamondback - This is another one that would be so easy using any number of the existing molds. 5. Winter Soldier - Some people think the MCU version looks enough like the comic version to suffice, but I'm not one of them. It's like saying the MCU Iron Man is good enough to serve as the comic IM. They're just two different looks. 6. Crossbones - The last one was way too big and on a horribly dated mold. He's big, but he shouldn't be much bigger than the Odinson buck. 7. Nomad - Another easy repaint using any number of existing molds. Maybe the ANAD Spidey 2099 buck. BAF: Bushmaster - Another one for the Serpent Society. My first instinct was for MODOK, but in all actuality the TB one still holds up very well. Can Hasbro out do it? Probably, but let's concentrate on the ones that haven't been made yet. There’s a lot of great characters in these posts, a LOT. In order for my post to not just be 297 characters deep (mostly X-Men & Spidey related), I’m gonna whip up a super quick & “small” list right off the top of my head. Also, any legend pre-dating 2014 Infinite Series should be eligible for a re-do imo. Marvel Legacy Punisher in War Machine Armor. If done right, that would probably my favorite Marvel Legend of all time lol. Agents of Shield characters...show is so damn good. And before I eat my words, I should probably just stop there. 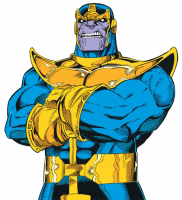 My top 10 most wanted classic Marvel 616 characters, mostly Avengers related. A proper comic accurate Superior Spider-Man with mech legs as well as Superior Octopus. PS4 Spider-man is a gamestop exclusive out next month or two. I still want Marvel Legends versions of the Marvel Rising characters. Squirrel Girl and Quake are longtime wants on ALOT of people's lists and far to long in coming. America Chavez? Yeah, I don't know why myself, I just want one. Toss in a Lockjaw BAF for good measure, and maybe an Inferno. Is he actually in the comics or strictly toons. Thanks for the info. With the exception of A-Force, I haven't been full-on into comics since the late '90s.